When temperatures drop below zero, you need double digit warmth! This waterproof, warmly padded winter jacket for girls takes on grey days and frosty temps. The cool, casual look makes it wearable on school grounds and ski slopes. 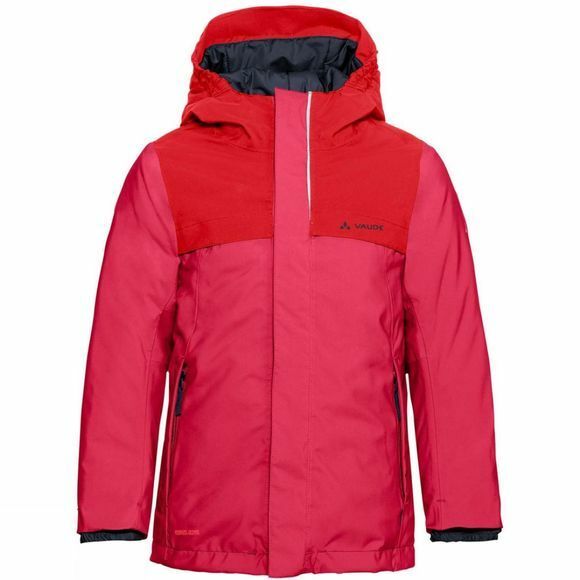 An integrated snow skirt keeps them warm and dry no matter how long the snowball fight rages on or the slopes are tackled. Reflective elements keep them safe when light conditions drop as well. 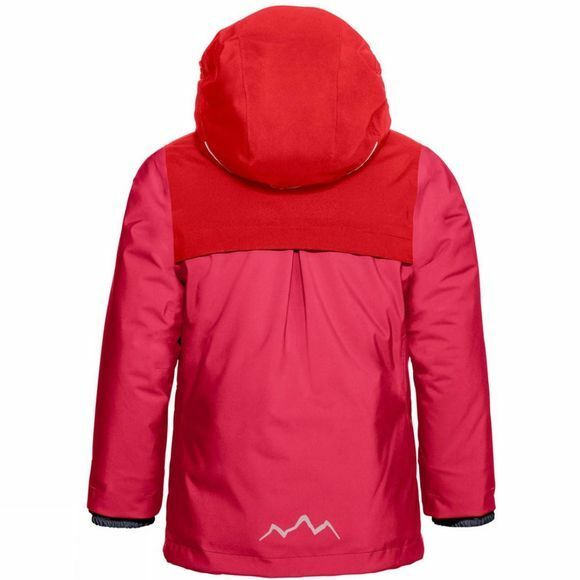 VAUDE's performance kidswear features highest quality materials, kid-friendly designs and colors, and eco-friendly manufacturing. We develop clever outdoor apparel for children that's built to last so it can be passed on to the next child. This product is made with Eco Finish, an environmentally friendly water-repellent finish without fluorocarbons (PFC). Green Shape is your VAUDE guarantee for environmentally friendly products – made from sustainable materials, with resource-saving manufacturing and in fair production facilities.